I started reading the first Harry Potter book to my girls this week. I was ecstatic. They were less so. It’s thicker than they’re used to and severely lacking in pictures. But my excitement seemed to transfer in such a way that by the end of the first chapter, they were amused by Albus Dumbledore, wary of Voldemort and curious about the boy who lived. But no matter how many hours of suffering I endure of repetitive formulaic children’s books, in the back of my mind is always the end game. Children need books. Even nonsensical ones. Children need people to read to them, and not just read, but also be excited about it. Reading to kids is important. Reading to engage them in a story, even more so. No matter how many times you’ve read a story, a child’s brain needs it portrayed with highlights of excitement and joy. “The Tawny Scrawny Lion” needs to sound like he’s as a fat as butter and sleek as satin, because it helps their fresh neurons to paint a more vivid scene. It encourages our kids to not only follow the story but to see it in their minds. Kids gain emotional experience from even the silliest of tales, which translates into more compassionate, empathetic, and thoughtful individuals. And the more vigor we inject into the imaginations of our future leaders, the more possibilities they will create for the world. Writer’s write. But at some point on our timeline, some one read to us. Someone cultivated the power of written words, and encouraged our brains to elaborate on the unseen, the imaginary, and the possibilities. These are the skills that bolster our ability to create new worlds on paper. Sit down and read to your kids or your grandkids. Volunteer at the library for story times and reading programs. A well-read population, and the next generation of story-tellers, begins in little hands flipping pages and tiny ears tuned to hear. 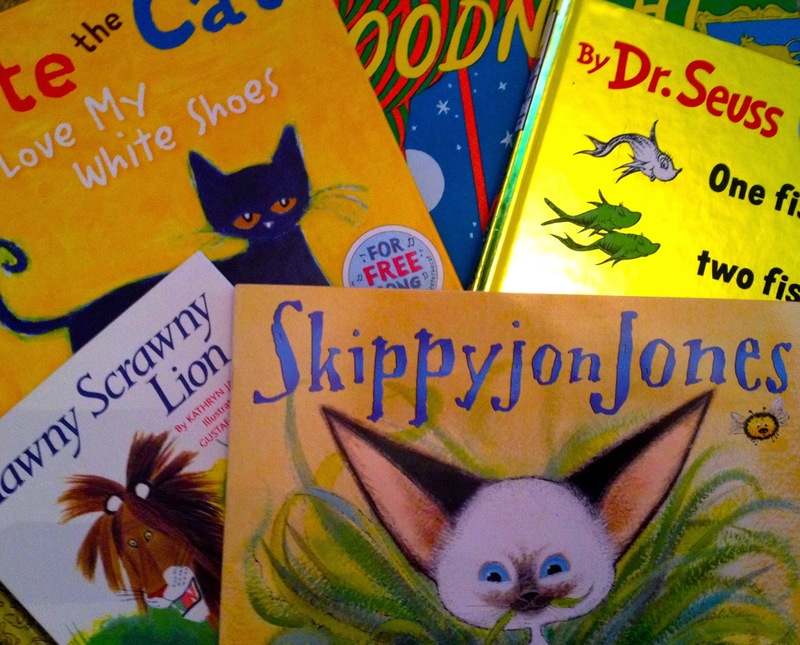 What was your favorite book as a child, or what is your favorite children’s book to read to now? I roll my eyes after I read the same story to my 5-year-old as I read to my oldest daughter 8 years ago at the same age as well as the twins and the 11-year-old. I'm shocked I haven't memorized them all. I loved reading Harry Potter to my boys!! I wish I could do it again for the first time. I love to read to my kids and being read aloud to by the teacher was always my favorite part of grade school. Right now we are reading The Little White Horse by Elizabeth Goudge which is apparently a classic and one of J.K. Rawlings inspirations. I had never heard of it before but I'm really enjoying it.